Amanda Crane/Press-Tribune Gov. Bobby Jindal signs SB58 and SB84 at the Shreveport-Bossier Rescue Mission Tusday that allow for donation of wild game meat to charities. SHREVEPORT – Governor Bobby Jindal signed two bills into law this week that protects and encourages charitable donations of game meat by Louisiana hunters. Senate Bills 58 and 84 are the result of an incident in January where 1,600 pounds of venison was discarded and doused with bleach at the Shreveport-Bossier Rescue Mission by a health inspector with the Louisiana Department of Health and Hospitals. The DHH received a complaint that same month saying deer meat was being served at the homeless shelter. A health inspector told the shelter that deer meat was not allowed to be served and that it had to be destroyed immediately through a process called denaturing. SB 58, authored by Sen. Sherri Buffington, R-Shreveport, allows certain meats and fish to be received or used by not-for-profit entities and charitable organizations. “Our hunting heritage runs deep in Louisiana and this bill ensures wild game donated by generous hunters and fishermen will reach those who need it most,” Buffington said. The destroyed meat was donated by the Bellevue Meat Processing Plant in Haughton as part of the Hunters for the Hungry program, a national initiative that provides food to homeless shelters. Owner Chris Nesbit was overjoyed by the quick response of Louisiana politicians to get the legislation written, passed and now signed. He hopes local hunters will continue to make donations in order to keep providing meat for the Shreveport-Bossier Rescue Mission. “Being able to donate is one part of our business that we can really use to give back to the community,” Nesbit said. 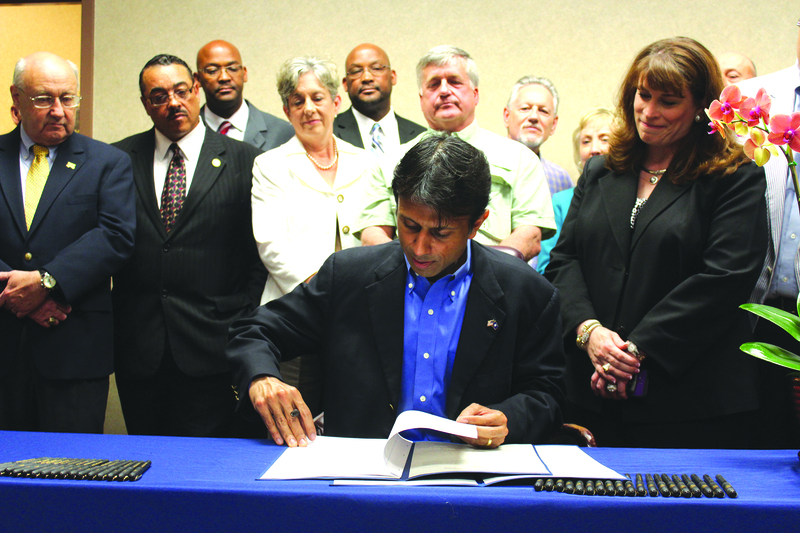 Additionally, Jindal signed a bill authored by Senator Neil Riser. SB 84 will allow hunters and anglers to make a donation to Hunters for the Hungry to help offset meat processing costs via a check-off box on applications for hunting and fishing licenses.